Using the Tor Browser protects your identity and can be used to preserve your privacy. 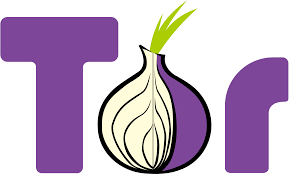 Download the Tor Browser and begin surfing online anonymously. If you are unable to connect to the standard download page there are alternative ways to obtain Tor. After you install Tor, use this website to see if your connect is through the Tor network. Tor can be used to avoid censorship without using a VPN (virtual private network). Your internet traffic is bounced between relays obscuring your web traffic. Bridges are unlisted Tor relays that can be used to avoid monitoring and censorship. Orbotis a free Android proxy app that uses Tor to encrypt your Internet traffic. Tails is Tor on a USB drive or CD that leaves no trace on the computer you use (ideal for those on the go). Now that you see how important Tor is please consider running a Tor relay yourself. A spare machine on a relatively fast internet connection is all you need. And yes, it’s perfectly legal in most countries though ironically it’s often illegal in places where it’s needed the most. Go figure.